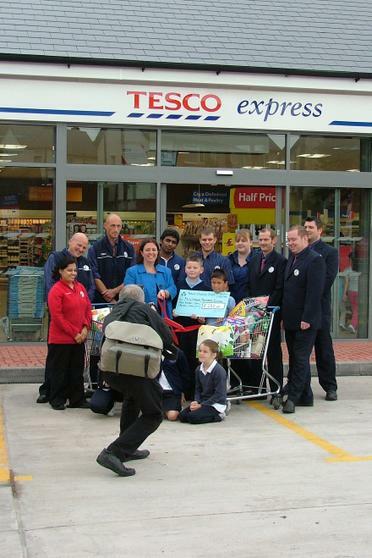 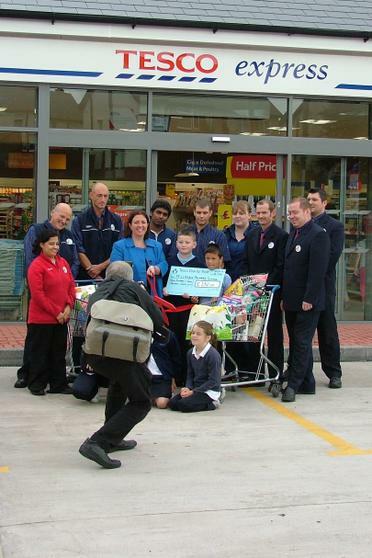 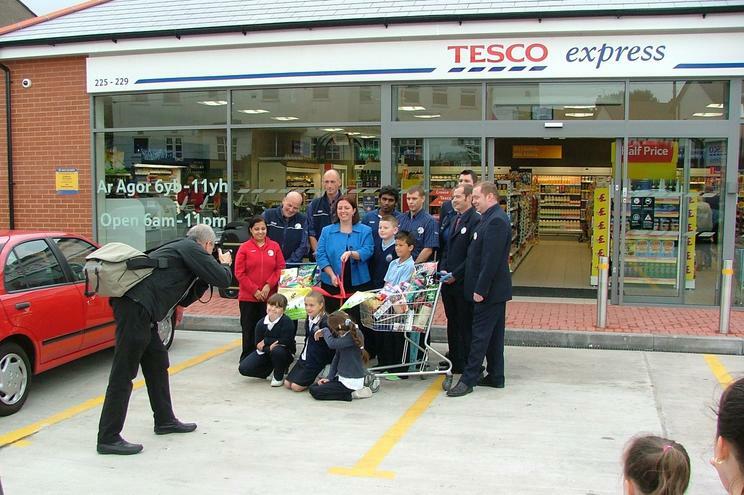 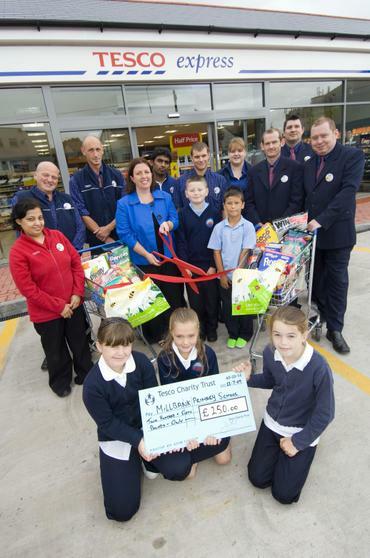 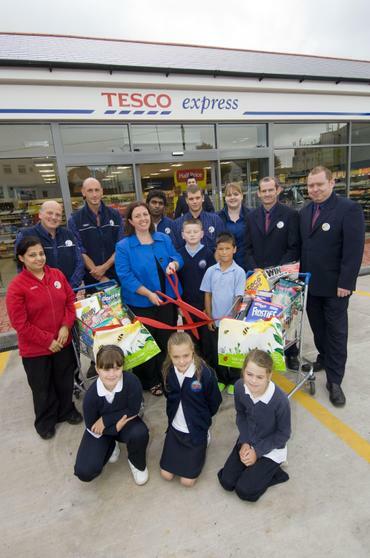 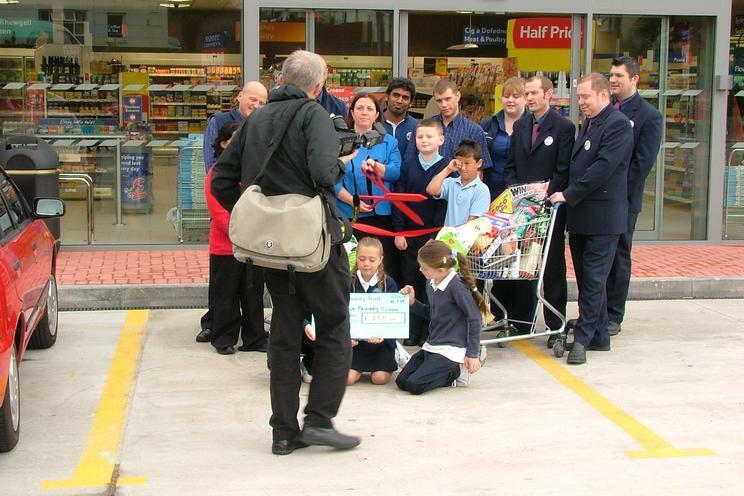 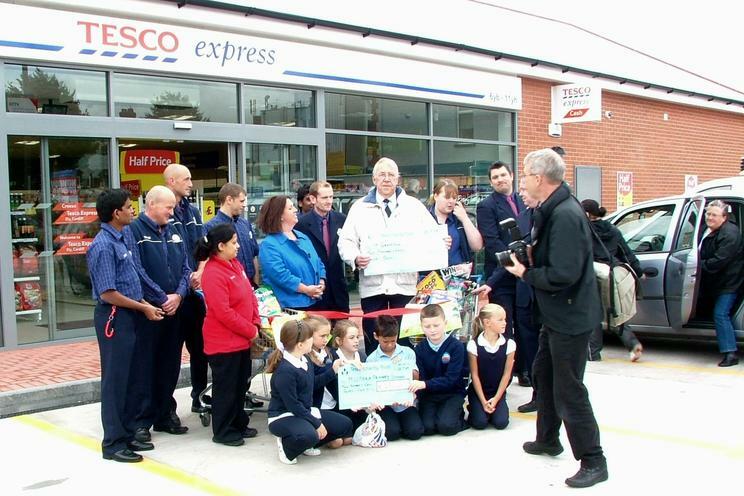 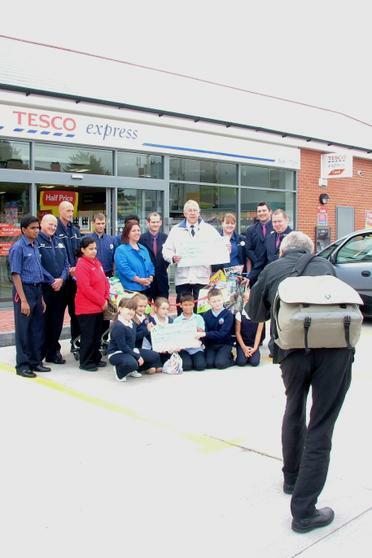 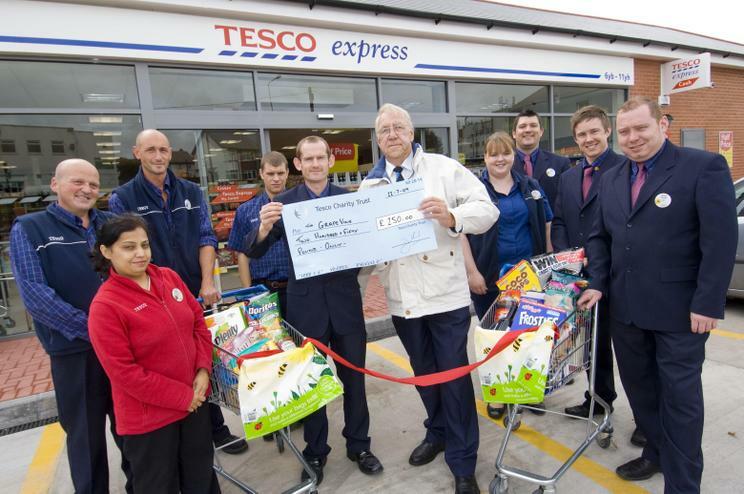 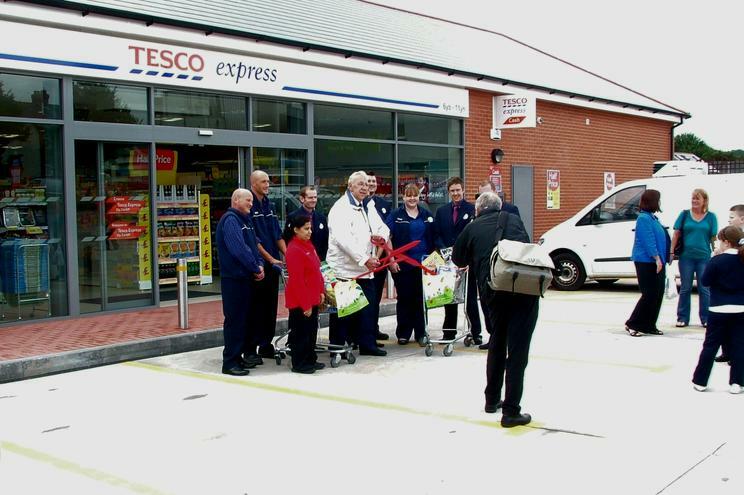 We were really thrilled when we were asked to open the new Tesco Express Ely store on Cowbridge Rd West. 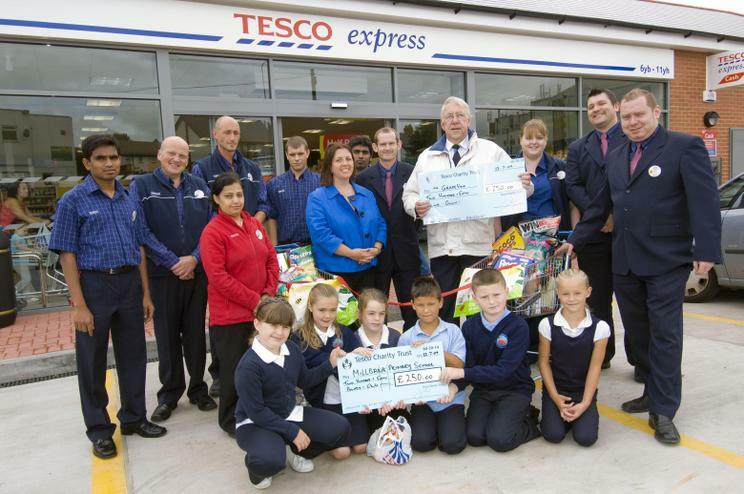 We were especially thrilled when we were told that the school was going to get a £250 donation. 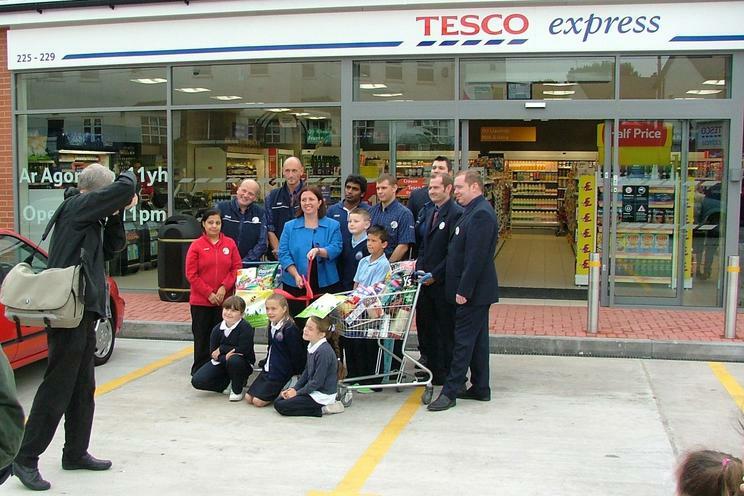 Because of a delay in the building completion the term had ended by the time the store was ready to open on Wednesday 22nd July. 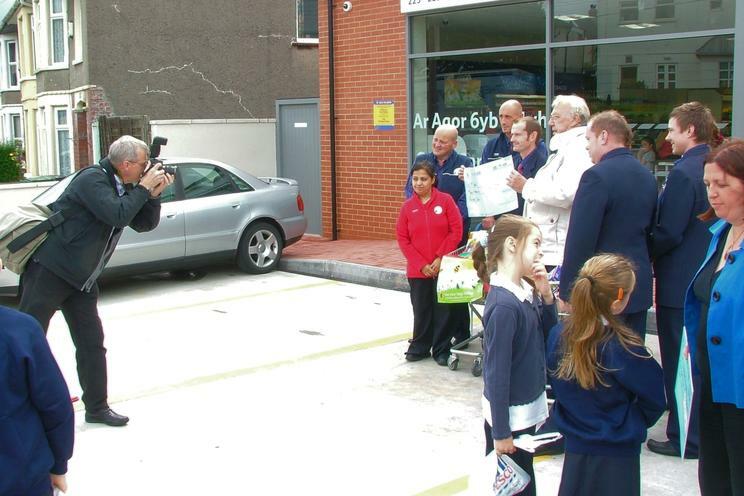 But Mrs Brown and some members of Dosbarth Dewi Sant gave up an hour of their summer holidays to put on their school uniform and come and open the store. 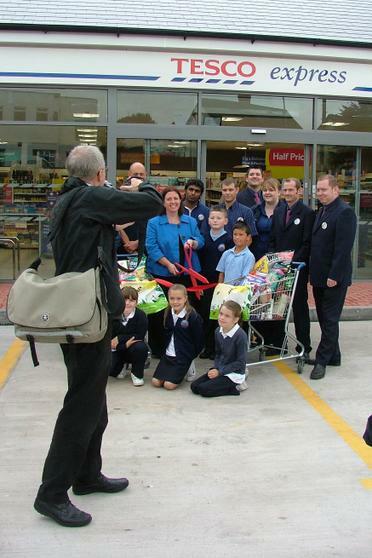 Luckily they did not want too many of us in the photograph! 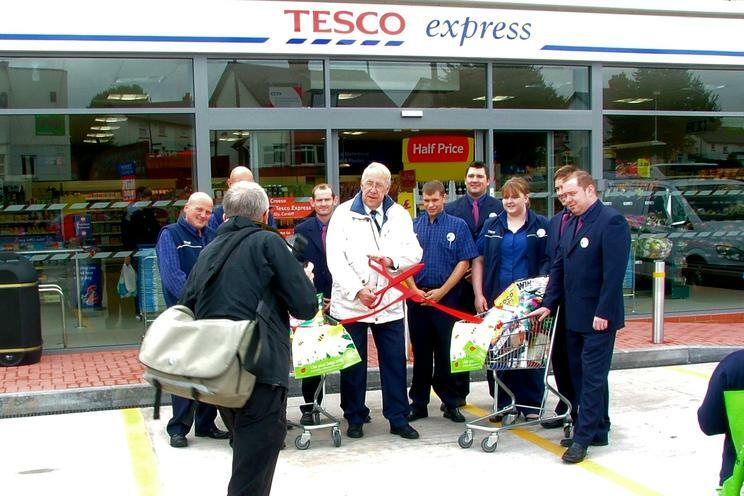 The Store Manager Mr Kris Williams was very busy organising the opening as well as the running of his store but gave us each a bag of goodies which included some flavoured waters a piece of fruit and a lovely fresh donought still warm from the instore bakery- yummy! 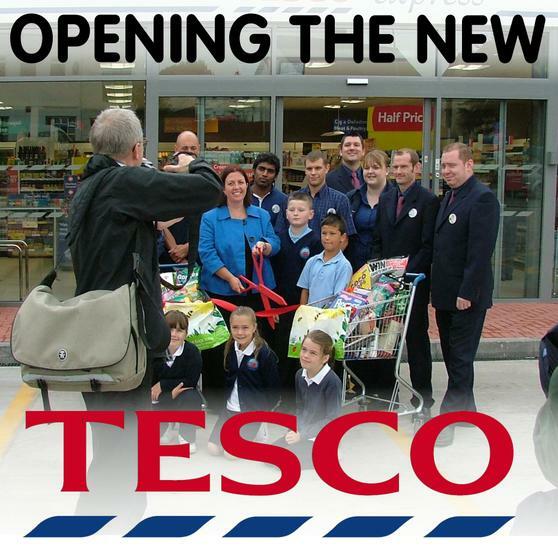 Apparently the store directly creates 24 jobs 17 of which including Kris are from the Ely area so that is fab too! 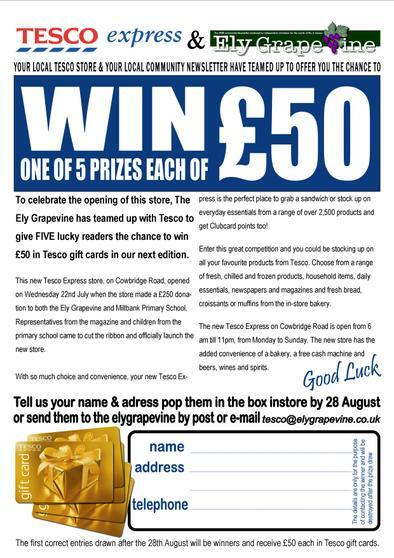 The store also gave a donation to the Ely Grapevine and ran a competition so that readers and our parents could win £50 Tesco gift cards (closes at the end of August 2009). 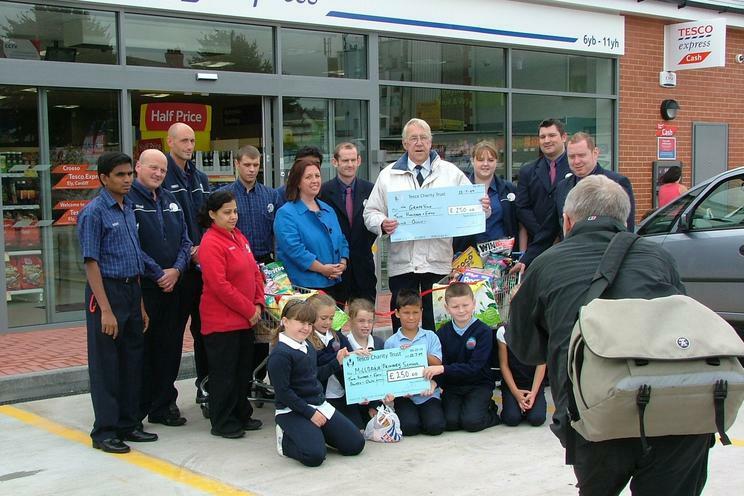 Mr Bob Virgin who has done jokes and cartoons in the newsletter for 30 years which many mums and dads remember especially "Pantyderi Peg" was there to recieve the cheque on behalf of the Grapevine. 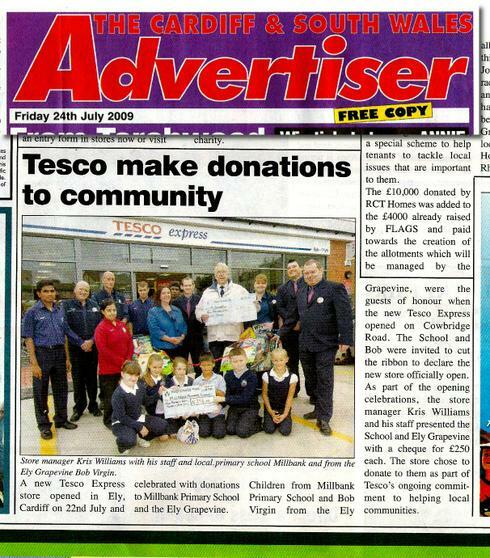 We used to work a lot with the local supermarkets especially on Industry week and with the choir raising money for charity at them for many years. 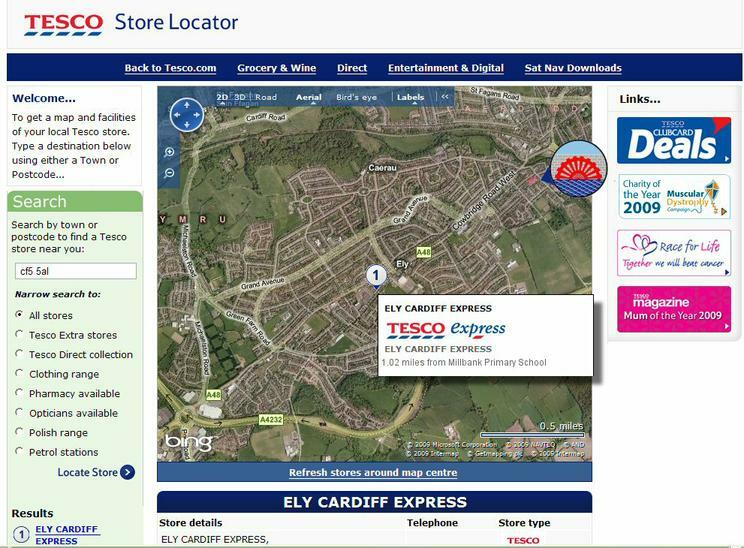 Currently the first part of the website has been lost by the council so we can no longer show you all the work the children did at Tesco Culverhouse Cross, or all the donations that we had from the Canton Tesco store for many Christmas and Summer raffles. 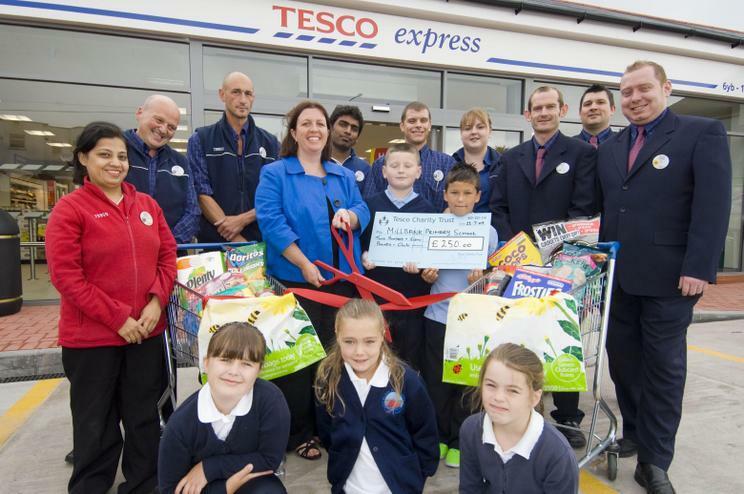 We would of course like to say a big thank you to Tesco for their kindness and to Mrs Brown, the children and parents of Millbank who gave up their summer holiday to help.